1. Situation in Gaza: In response to the ongoing situation in Gaza, activists are organizing a protest on Friday, July 11 at 2130 in downtown Tunis. 2. Release of Controversial film: Numerous social media reports on Friday, 4 July, revealed that several European-based activists will release a provocative film offensive to Muslims. 1. 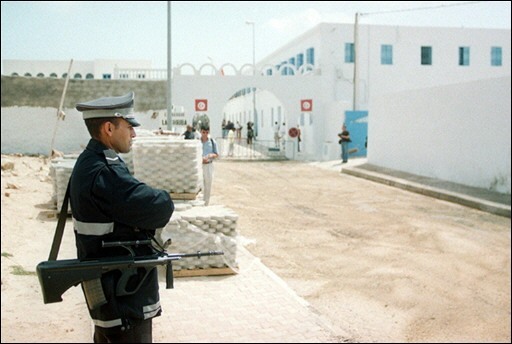 Tunisia Terror -On July 5th Tunisian security forces foiled a militant attack on Mornaguia Prison. 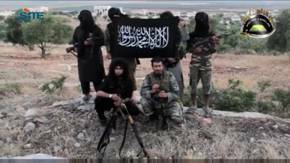 According to Shems FM seven prison guards were arrested in the operation. 3. 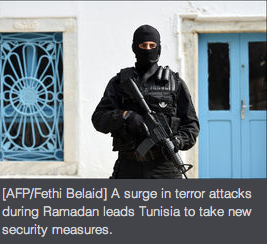 Tunisia raises terrorism alert level-On July 9th, Officials raised the security alert level “inside cities and at sensitive sites especially during iftar.” As always the measure is broad and vague but worth noting. The concerns cited above along with the elections & economic challenges; give us more than enough reasons to evaluate our security posture in Tunisia. Now is a good time to review your 3C: Communication, Community, Continuity. Communication: Make sure your receiving practical & relevant security updates. 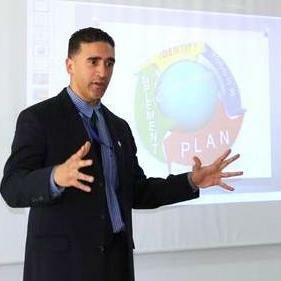 Community: Good situational awareness & networking. Continuity: As always make sure you have a plan to deal with challenging situations. On the flip side there’s a lot of good information coming out of Tunisia. It still remains the last great hope of the Arab Spring and many remain optimistic about its future. As informed Expats we simply want to be aware of the security situation so that we are able to safely live & thrive in beautiful Tunisia.